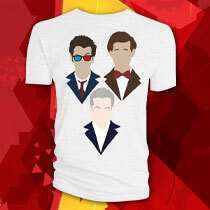 GET AN EXCLUSIVE DOCTOR WHO T-SHIRT! But extreme hyperviolence-for-hire is hot on their tail, tracking them wherever and whenever they go. With chainswords! It's a race to clear our tricksy Time Lord's name and spare the lives of his friends, with the only answers burnt in the fiery footsteps of the incarnation he can never acknowledge: the WAR DOCTOR. 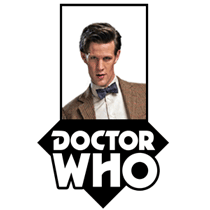 Breathless twists abound as the Eleventh Doctor series jumps into a new gear – for a new year! Fantastic jumping-on point for new readers! For loyal readers - picks up from Year One and the 2015 Event! Now 14 issues a year, one issue every four weeks, including a double-sized Special! Si Spurrier joins Rob Williams as co-writer for Year Two! Simon Fraser and Warren Pleece as the alternating art team!